ETA: If you notice a power house role model missing please add to the comments. 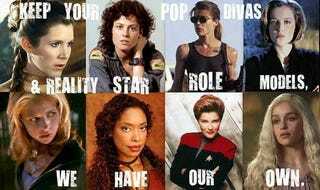 Some one just reminded me that Starbuck was missing here. And really what list is complete with out her. I'll also add President Laura Roslin.